This work is dedicated to the elucidation of surface dipole ordering in nanoscale thin polymer layers. The experimental study of submicron-film dielectric electroactive polydiphenylenephthalide polymer has revealed that it is composed of the side phthalide groups with a relatively large dipole moment. The interest in this polymer is due to the abnormally high conductivity of the polymer/polymer interface, which has previously been associated with the possible superficial ordering of phthalide groups. Piezoresponse force microscopy has been used to explore the surface of submicron films produced by centrifugation. The manifestation of the spontaneous polarization indicates the dipole ordering. Besides this, the polarization and relaxation in samples with different thicknesses have been investigated in order to determine the volume and the surface contribution to the polarization films. A reduction in the thickness is established to amplify the piezoelectric response of the signal and the electrically generated domains acquire the ideal radial shape. This confirms the predominant contribution to the orientation processes from the surface layers of the polymer film. The polarization switching manifested as the alteration of the contrast of the piezoelectric response signal in the applied different-polarity fields has been highlighted. The presence of these surface phenomena is involved to explain the unique electronic properties of the interfaces in the polar organic dielectrics. Original Russian Text © D.D. Karamov, D.A. Kiselev, M.D. Malinkovich, V.M. Kornilov, A.N. Lachinov, R.M. 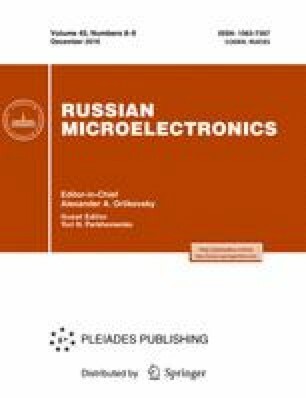 Gadiev, 2015, published in Izvestiya Vysshikh Uchebnykh Zavedenii, Materialy Elektronnoi Tekhniki, 2015, Vol. 18, No. 4, pp. 233–239.